An interesting column by Thomas Sowell, attempting to make the case for former Speaker Newt Gingrich. According to Thomas Sowell what matters is concrete accomplishments, especially when another Ronald Reagan isn’t in the cards for voters. Personally I have strong reservations about former Gov. Romney, as do many conservatives. 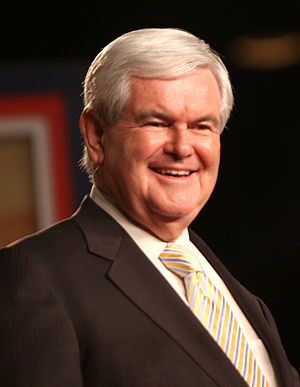 However I also have strong reservations about former Speaker Gingrich, especially in light of his reactions following the Iowa Caucus. That being said, Thomas Sowell makes a very interesting point. It’s a point that actually could be applied to all the Republican candidates, as each has flaws and shortcomings. Congrats to Rep. John Nygren of Marinette. Representative John Nygren (R-Marinette) was appointed today to serve on the 2011-12 Wisconsin State Legislature’s Joint Committee on Finance. Speaker-Elect Jeff Fitzgerald (R-Horicon) chose John to be one of six Assembly Republicans to serve on the sixteen member committee. Representative Nygren was originally elected to the Assembly in 2006. Prior to being elected, John operated a small business for nearly two decades and currently owns a financial consulting firm in Marinette, Wisconsin. Nygren represents the 89th Assembly District that includes portions of Marinette, Oconto, Brown, and Shawano Counties. A daunting task and a great responsibility to get the fiscal house in order. To accomplish it tough decisions need to be made and those start in the state legislature in the JFC. Some companies have a policy that once someone is fired, they aren’t allowed back on the premises out of fear they might do further damage to the company. It’s too bad Congress doesn’t have the same policy. Because before they’re replaced in January, all of the Democrats who are put out of a job in November will be able to come back and rob the nation blind. More than a dozen senators will come back to Washington and decide how much more tax money to take from Americans, without being accountable to any of them. Higher taxes, cap-and-trade, amnesty, and card check will be top-priority items for the Fired Congress, otherwise known as the lame-duck Congress. They’re also likely to roll unfinished appropriations bills into a massive, pork-stuffed omnibus to snag every last possible earmark on their way out of Washington. Considering the Democrats are about to get their hindside handed to them in three weeks, voters need to be vigilant. As Senator DeMint points out in the rest of his article there is a lot of damage the Democrats could do if not held in check. Will Congressman Steve Kagen and Senator Russ Feingold go on record promising not to support any attempts to cram spending and taxes through a lameduck session? It’s important for voters to press them on this since they very well could be unaccountable to the voters after November 2nd. The National Republican Congressional Committee (NRCC) announced today that Reid Ribble (WI-08) has reached ‘Young Gun’ status, the premiere level of its three-tiered Young Guns program. By advancing to the program’s top tier, Ribble has proven his ability to build a winning campaign and achieve substantial fundraising goals. Having owned and operated a small business, lifelong Wisconsin resident Reid Ribble knows all-too-well that the Obama-Kagen agenda is serving as a roadblock to an economic recovery. He is the former president of both the Ribble Group and the National Roofing Contractors Association. Unlike Kagen, Ribble has the real-world experience to get the local economy thriving once again. An important acheivement for Reid Ribble but not surprising to see now that the Republican primary is past. The question is will Reid’s campaign see the boost Sean Duffy‘s did from a campaign donations standpoint after Sean achieved the designation months ago.